MAGNETIC Pin Bowl - Christopher Thompson's Magnetic Pin Bowl - STMB-9655. 4” Stainless steel bowl with 2 1/2” strong rubber coated magnet on the bottom. 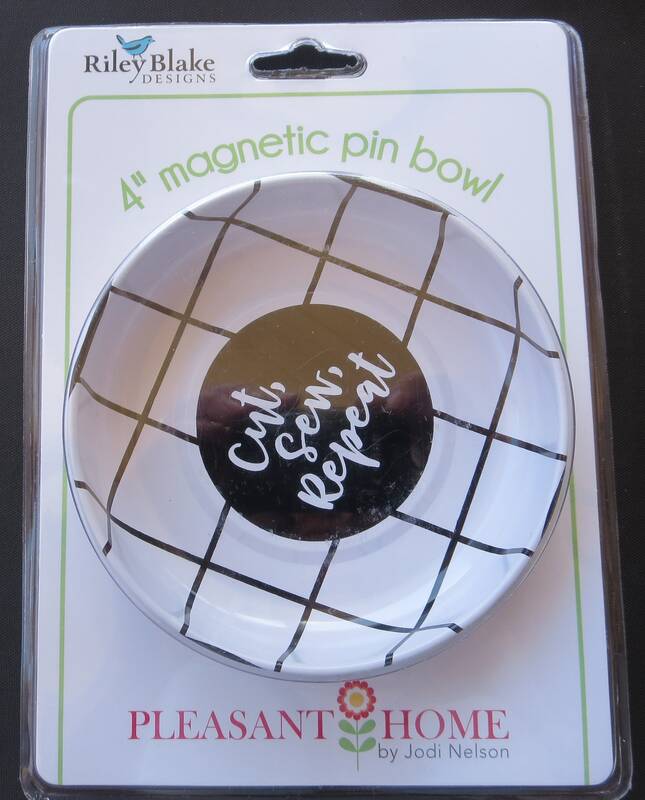 Pin Bowls are perfect for storing and accessorizing small parts, pins, needles, paper clips, and even bobby pins. Just love this - artistic and functional...bought one for me and one to give to a quilting friend! Magnet is nice and strong!